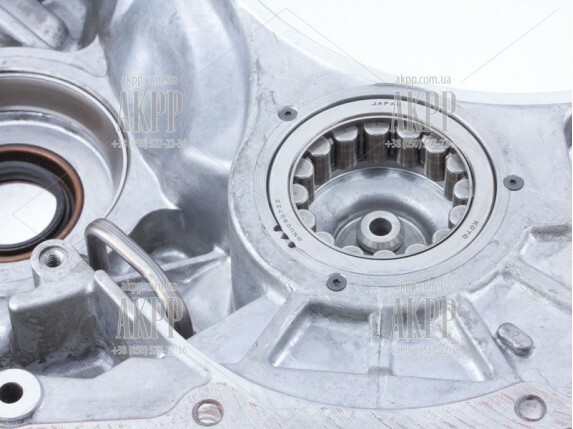 All kinds of bearings installed in automatic transmission case after 100 000 km destroy the oval slot and rotate within the housing.Shafts and planets lose rotation axis and create noise when driving. Maktrans company repair automatic transmission housing in two ways. 1. Hardfacing of aluminum by means of welding. 2. Boring and installation of steel sleeve with mechanical fixation. Repaired holes are covered with 24 months warranty. Toyota U660E, U341E, U340E, U240E, U250E, U140E, U150E automatic transmission housing repair is held by aluminium hardfacing welding. The hardness of the hardfacing material exceeds the factory specifications. Honda automatic transmission case repair can only be done by using steel sleeve.